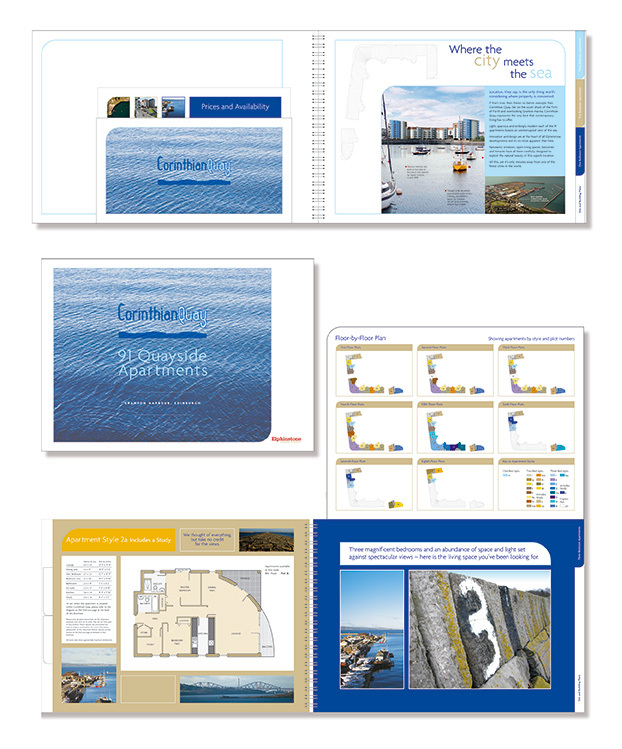 This brochure for the Corinthian Quay development at Granton harbour development in Edinburgh was produced before construction started so the commissioned photography focused on the surrounding area which included a marina, Firth of Forth and leisure facilities. It also played a key role in selling the 91 plots off-plan. 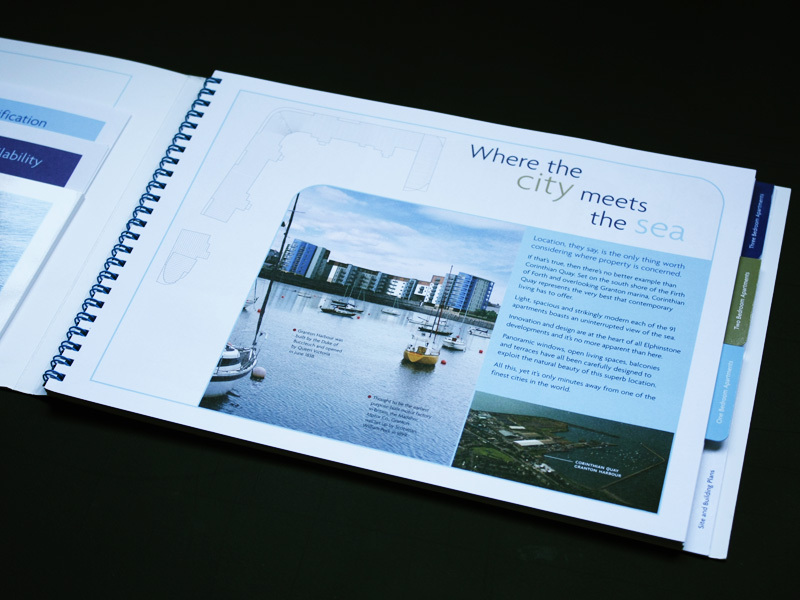 Call 0131 618 2999 to find to discuss how we can create printed collateral that gets results.